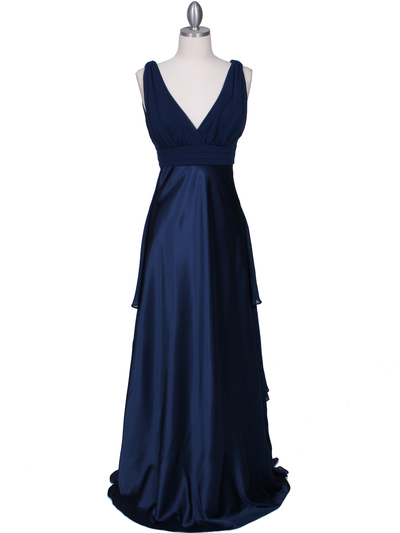 Navy Evening Dress | Sung Boutique L.A. 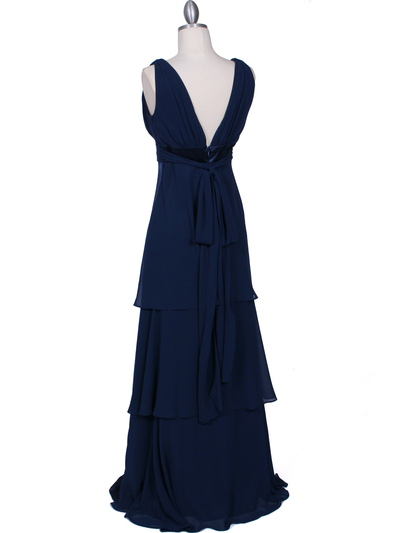 This beautiful evening dress features chiffon top with front and back V neckline. Pleated empire waist above floor length satin skirt. 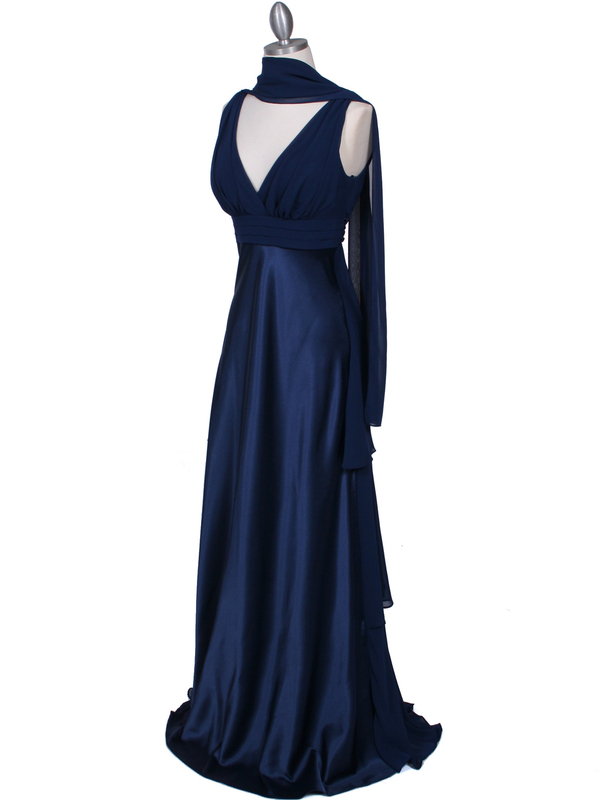 Tiered chiffon back with sash tie behind back finished the elegant look.